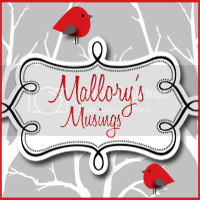 Mallory's Musings: Best Garlic Bread Ever! This garlic bread is AMAZING!!! Preheat Oven to 375 Degrees. 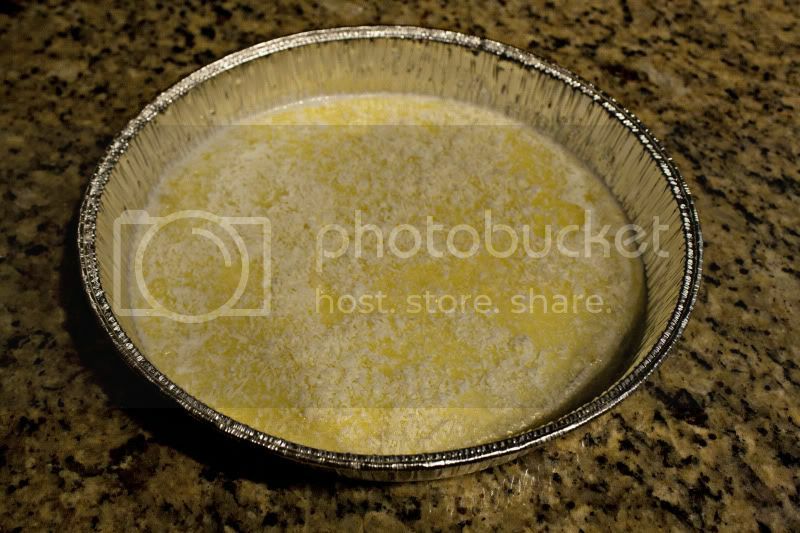 Melt butter and pour into a 9" cake pan and evenly coat. 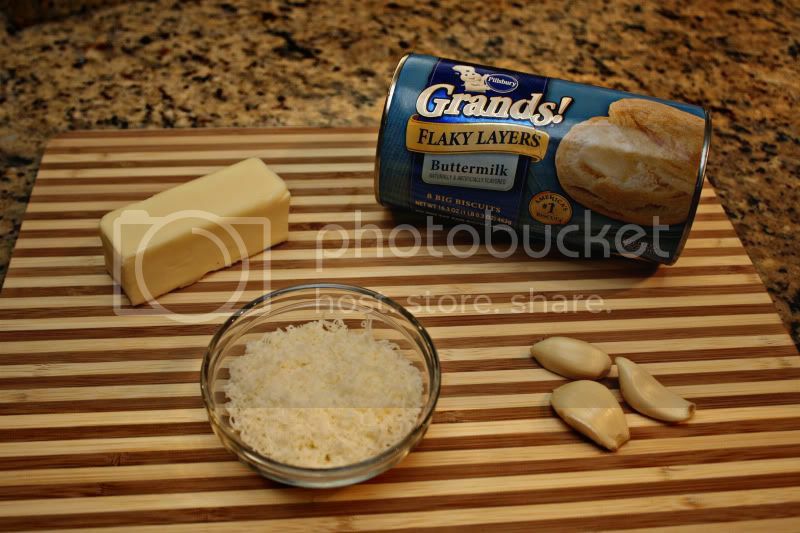 Then sprinkle on Parmesan cheese and minced garlic. Now pop open your biscuits and cut each one into fourths. 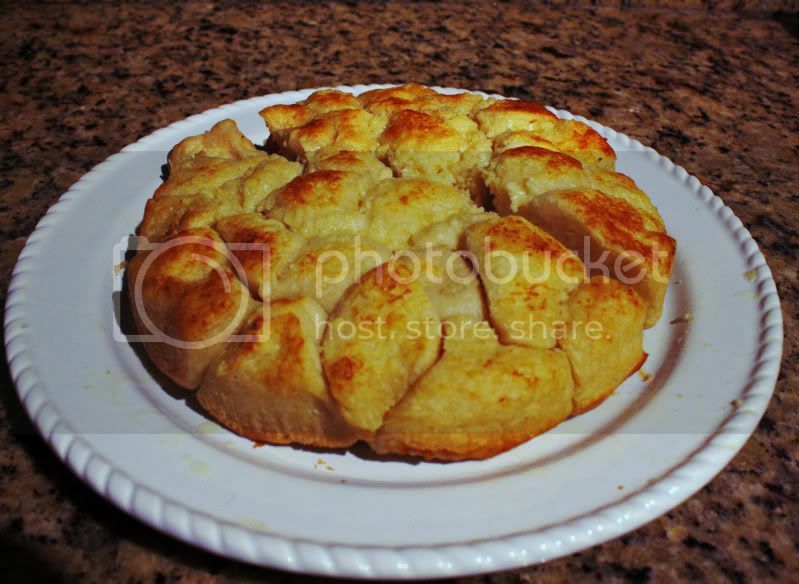 After all of your biscuits are cut, smoosh them into one layer in the cake pan. 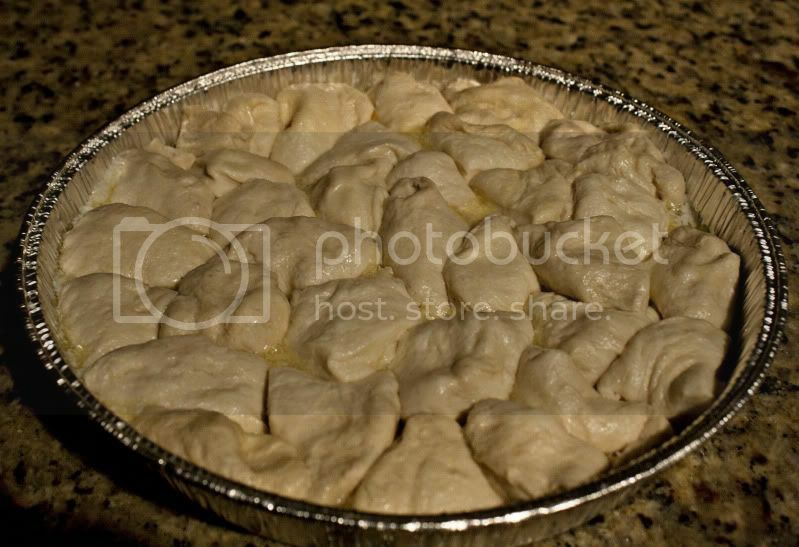 Once you have all your biscuits in the pan, place it in the oven for 15-18 minutes on the middle rack or until biscuits puff up and are browned. Within the first few minutes of taking the pan out of the oven, flip it over onto a plate. You may need to use a butter nice to loosen some of the sides. well there goes my diet! LOL I am definitely trying that recipe this weekend! thanks mallory you always have great and yummy food to try! These look soooooo good. Totally making these this weekend! I just looked at this and kept thinking, "oh man" and then I saw the biscuits go on top of the melted butter and "OH MAN" - looks amazing. OH MY GOODNESS! I am so going to be trying this recipe out!!!! I think I HAVE to try this tomorrow!! I'm all for bread & melted butter- yum!!! ooooh man, that looks waaaay to good! you got yourself a new follower, lol. As soon as I'm done with my cleanse, I am ALL OVER THIS!! !